One thing that toddlers are remarkably good at is getting filthy, whether it’s from playing in the mud, using their spaghetti sauce-smeared hand to scratch an itch, or wiping their nose sans tissue. 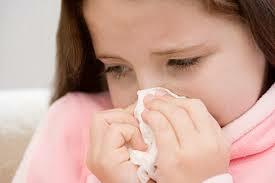 Fortunately, this is the perfect time to begin teaching your child about healthy hygiene routines, says Brett R. Kuhn, Ph.D., a child psychologist for the University of Nebraska Medical Center. She won’t become a clean queen overnight. But getting familiar with these maintenance skills can help instill good habits that your child will stick with once she’s old enough to handle them without your supervision. sink — before eating and after using the potty, blowing his nose, or playing outside — and offer frequent, gentle reminders. Then take him through the process. Turn on the water (stick to cold to be safe), have him wet his hands, pump the soap dispenser once, and lather up by rubbing together the front and back of his hands and in between his fingers. Sing “Happy Birthday” or another song he knows to make sure he washes for at least 20 seconds, says Amesh Adalja, M.D., an infectious-disease physician at the University of Pittsburgh. When he’s done, show him how to rinse and dry. You can make the process more appealing by using bright-colored or fruit-scented soap and giving him a high five for his effort. 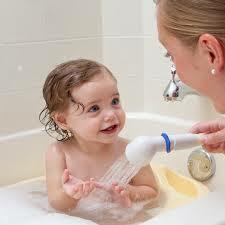 Your child won’t be able to scrub in the tub by herself for several years, but she’s capable of learning the basics. Focus on the fact that taking a bath is a fun way to get clean, and narrate what you’re doing: “Mommy is putting soap on the washcloth to scrub your tummy.” Then see if she can copy you. Have her wash a doll’s hair. Then see if she can handle one step by herself, such as wetting her hair or making a suds sculpture after you’ve put in the shampoo. For rinsing, ask her to lean her head back and close her eyes. Having your child take an active role in these tasks can make her feel empowered and will encourage her to do even more as her motor skills improve, says Dr. Kuhn. The next time your toddler reaches for his toothbrush, don’t pull it away; let him try it out. While he’ll need your help with dental hygiene until around age 8, getting him comfortable with brushing will help turn him into a pro by then. 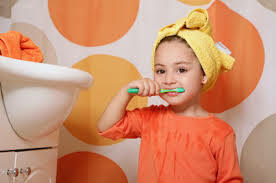 Since your child won’t understand that cleaning his teeth thoroughly helps prevent cavities, you can just say, “We brush our teeth so they’ll look and feel good,” suggests John L. Blake, D.D.S., a pediatric dentist at Miller Children’s & Women’s Hospital Long Beach, in California. Take him through each step as you wet the brush, squeeze a thin smear of toothpaste onto it, clean his teeth and his tongue, and then show him how to rinse his mouth with water and spit. Have your child test-drive the process, either on himself or you. Want to boost his cooperation? Try letting him pick out his favorite kids’ toothpaste (fluoride is now considered safe for toddlers) and toothbrush. You can also sing songs and make silly faces or noises — choo-choo sounds might do the trick if he’s a Thomas the Tank Engine fan — as he brushes.